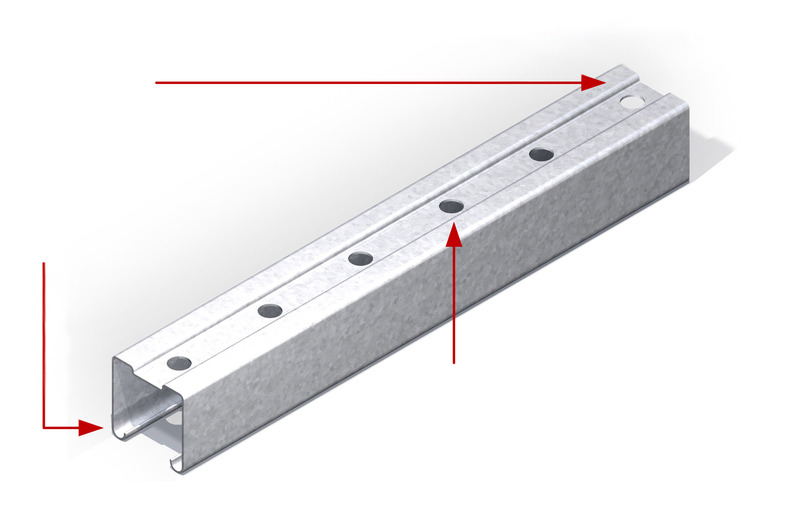 TopSupports is a galvanized steel channel designed to simplify installation and seismic bracing in multiple applications, such as ventilation, electricity, plumbing, refrigeration and fire security. 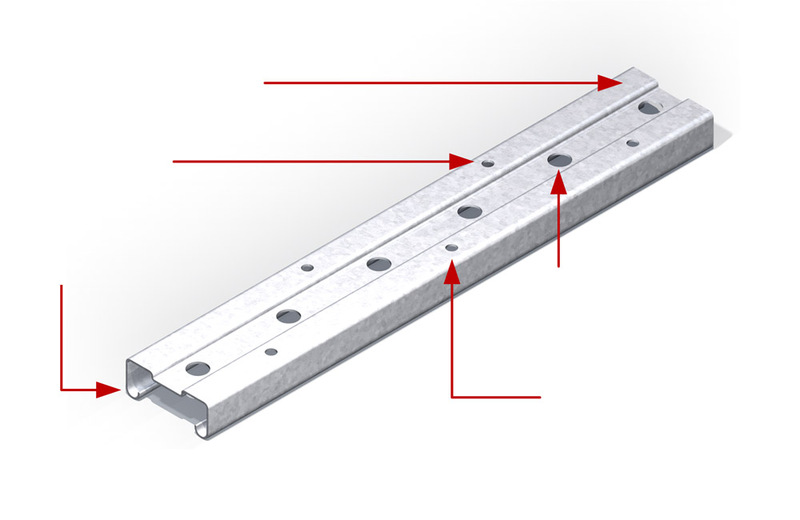 Compatible with Cantruss type fittings and accessories for mechanical applications. For smaller loads and standard suspension applications. Install back-to-back with a threaded rod for seismic bracing.